The fact is, Jean Luc Picard can make anything look cool. For men whose wives complain about ashes on the rug, the invention of a Cincinnati, Ohio man will prove a great boon. This new “safety smoker,” as the gadget is called, consists of a small box like affair of light metal, with top and sides covered by a light screen. 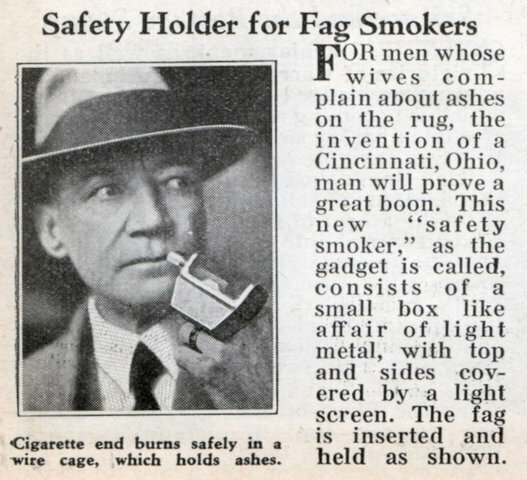 The fag is inserted and held as shown. 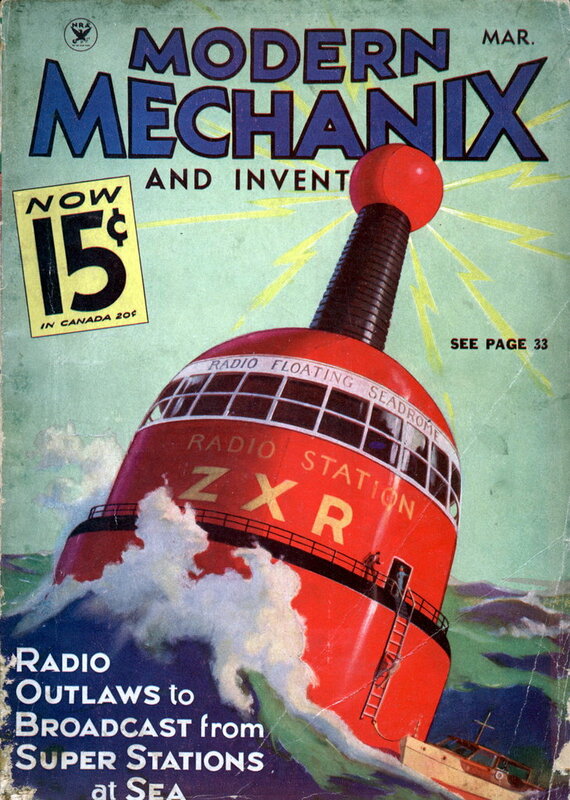 AN INVENTION for hearing by the conduction of sound through the bony structure of the head instead of through the outer ear was successfully demonstrated recently before the engineering society in New York. 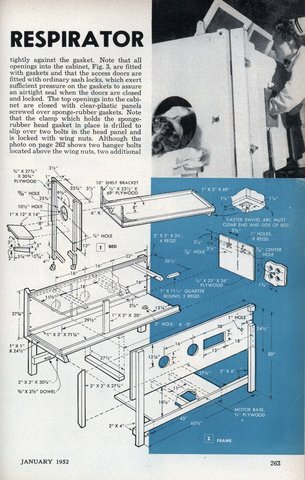 How the contraption is worn is illustrated in the photo below. The heart of the instrument is a special transmitter worn on the clothing which intercepts the words spoken to the deaf or partially deaf person. 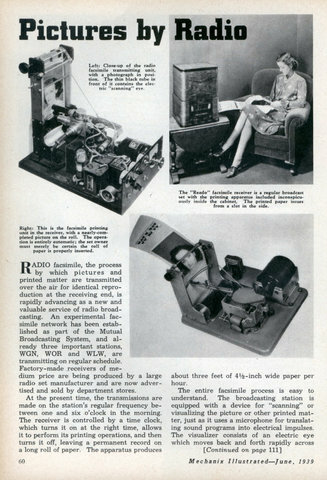 This transmitter is connected to the oscillator which presses against the bony part of the cranium when the listening is to be done. 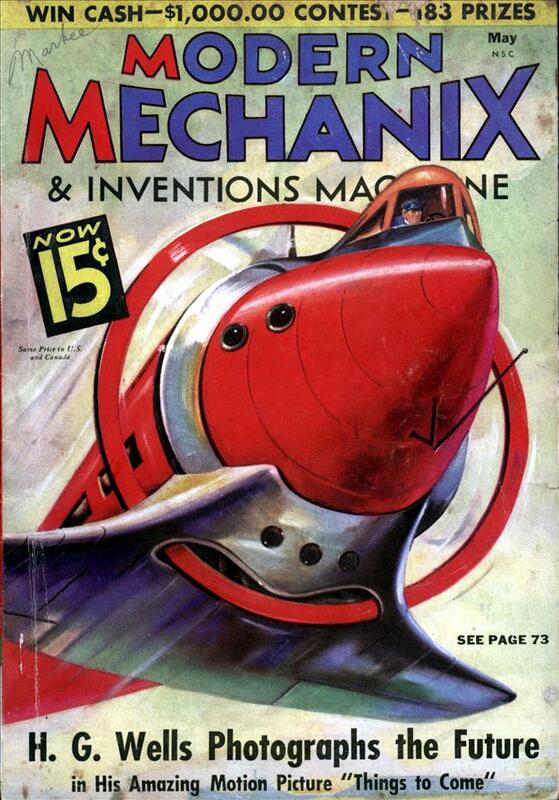 Ordinarily, however, the oscillator is worn like a necklace around the throat as illustrated in the photo below. 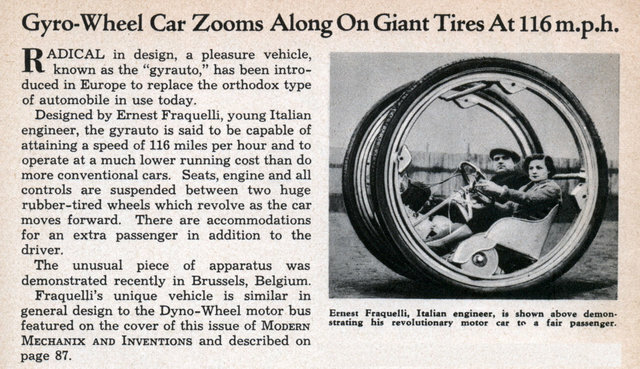 Gyro-Wheel Car Zooms Along On Giant Tires At 116 m.p.h. 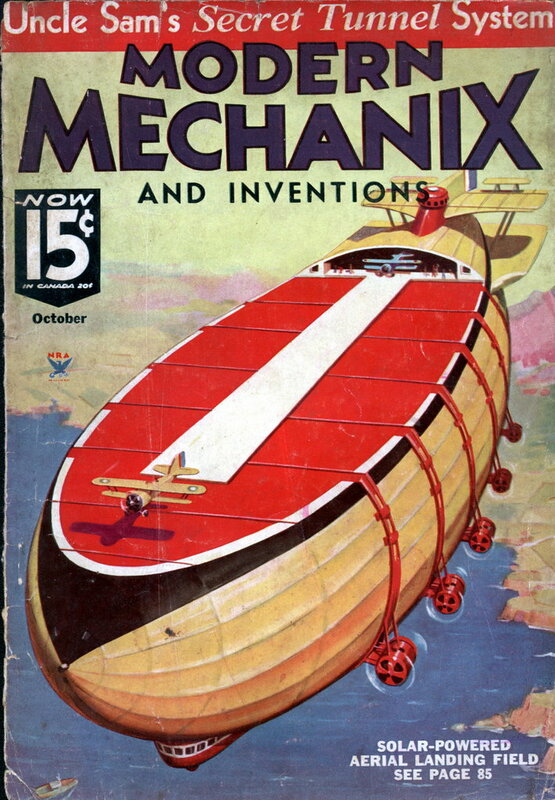 RADICAL in design, a pleasure vehicle, known as the “gyrauto,” has been introduced in Europe to replace the orthodox type of automobile in use today. 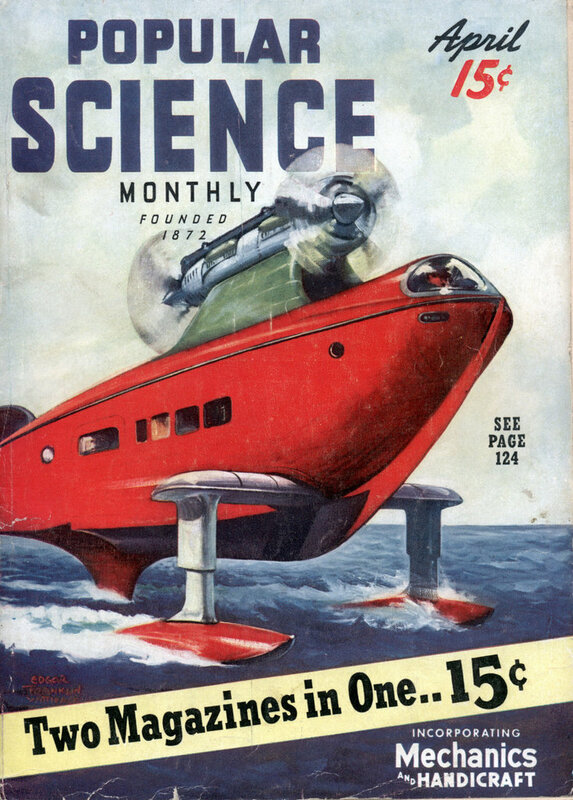 Designed by Ernest Fraquelli, young Italian engineer, the gyrauto is said to be capable of attaining a speed of 116 miles per hour and to operate at a much lower running cost than do more conventional cars. 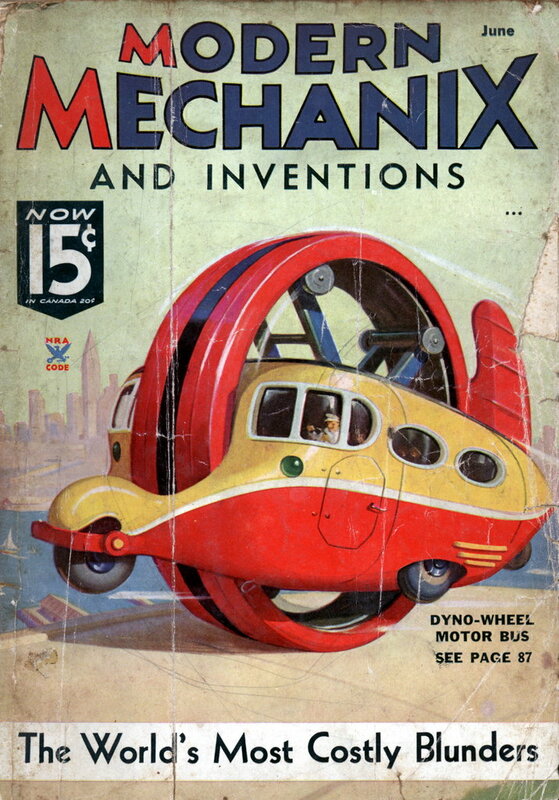 Seats, engine and all controls are suspended between two huge rubber-tired wheels which revolve as the car moves forward. There are accommodations for an extra passenger in addition to the driver. The unusual piece of apparatus was demonstrated recently in Brussels, Belgium. 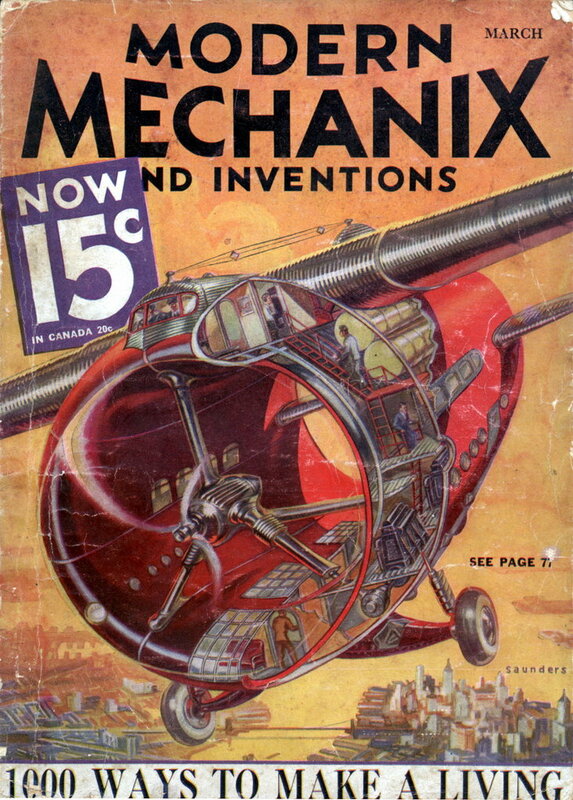 Fraquelli’s unique vehicle is similar in general design to the Dyno-Wheel motor bus featured on the cover of this issue of Modern Mechanix and Inventions and described on page 87. I just love this picture. She looks like she’s about to run someone down. 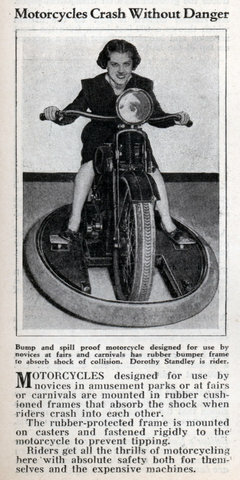 MOTORCYCLES designed for use by novices in amusement parks or at fairs or carnivals are mounted in rubber cushioned frames that absorb the shock when riders crash into each other. The rubber-protected frame is mounted on casters and fastened rigidly to the motorcycle to prevent tipping. Riders get all the thrills of motorcycling here with absolute safety both for themselves and the expensive machines. 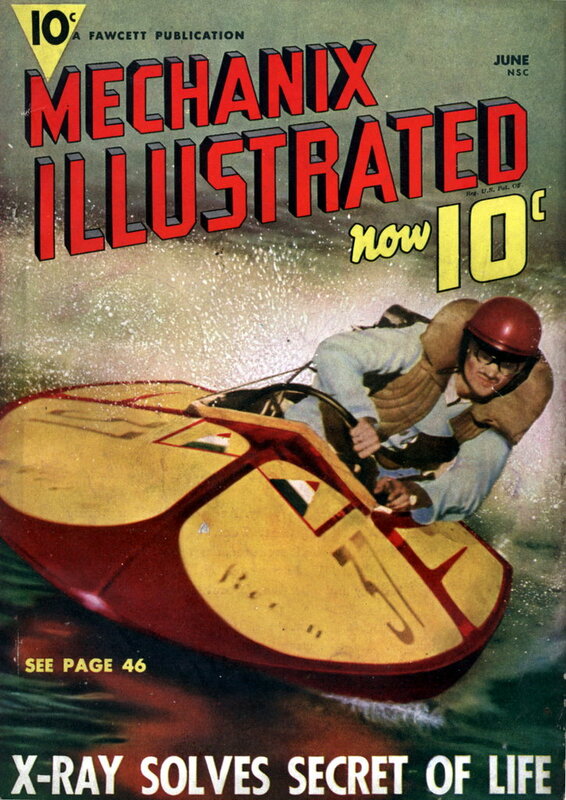 Amazingly, in a later issue they have a little notice saying that due to the huge response the magazine got about this article they were offering a large set of blue prints and templates. I guess a lot of people actually built these. Could a life have been saved in your community if a mechanical respirator had been at hand for immediate use? 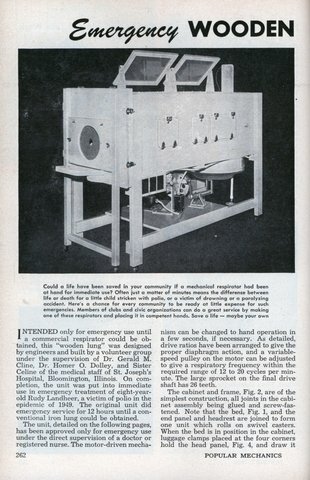 Often just a matter of minutes means the difference between life or death for a little child stricken with polio, or a victim of drowning or a paralyzing accident. Here’s a chance for every community to be ready at little expense for such emergencies. Members of clubs and civic organizations can do a great service by making one of these respirators and placing it in competent hands. Save a life â€” maybe your own. 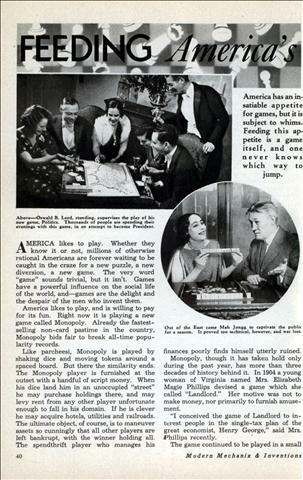 Learn all about a new game called Monopoly that is taking the nation by storm. AMERICA likes to play. 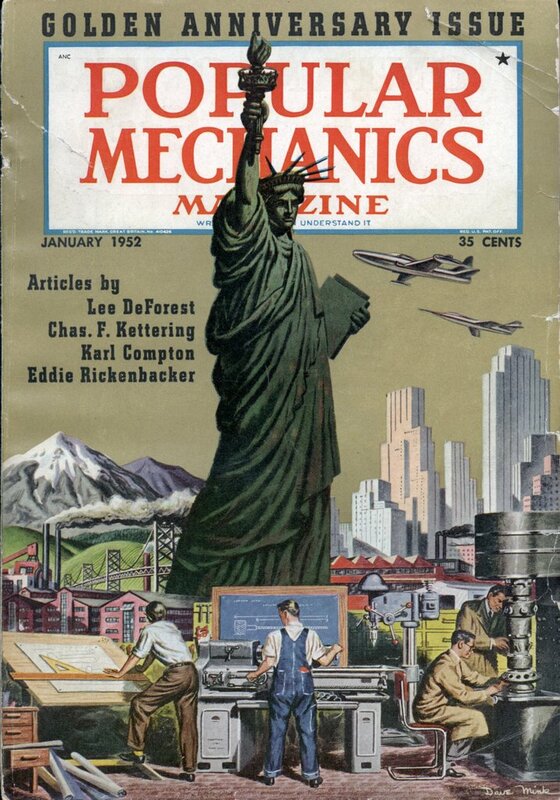 Whether they know it or not, millions of otherwise rational Americans are forever waiting to be caught in the craze for a new puzzle, a new diversion, a new game. The very word “game” sounds trivial, but it isn’t. Games have a powerful influence on the social life of the world, andâ€”games are the delight and the despair of the men who invent them. America likes to play, and is willing to pay for its fun. Right now it is playing a new game called Monopoly. Already the fastest-selling non-card pastime in the country, Monopoly bids fair to break all-time popularity records. The stylish alternative to blinkers. The confusion over driving signals when motoring at night is largely eliminated with a new device which straps to the back of the hand. 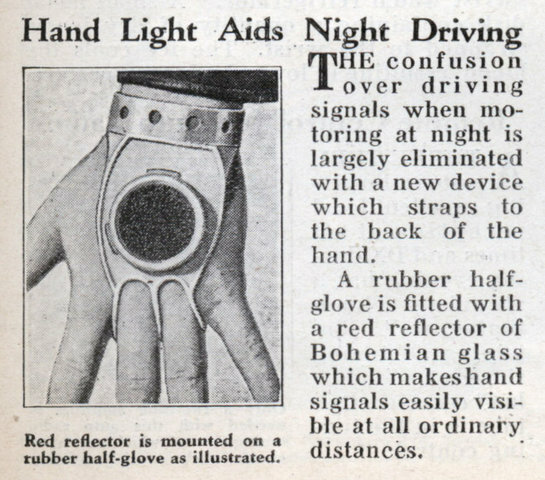 A rubber half glove is fitted with a red reflector of Bohemian glass which makes hand signals easily visible at all ordinary distances. The printout actually looks really good, though at 3 feet per hour it isn’t the most useful thing in the world. Watermelons without seeds are produced by chemical treatment of watermelon blossoms, in a process perfected by Cheong Yin Wong, graduate student at Michigan State College, East Lansing. 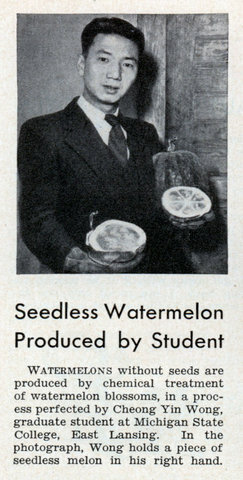 In the photograph, Wong holds a piece of seedless melon in his right hand. 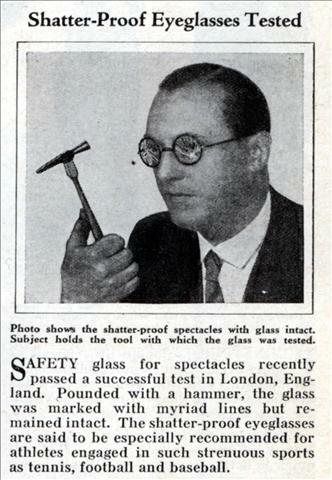 Safety glass for spectacles recently passed a successful test in London, England. Pounded with a hammer, the glass was marked with myriad lines but remained intact. The shatter-proof eyeglasses are said to be especially recommended for atheletes engaged in such strenuous sports as tennis, football and baseball.